In the fourth and final novel in Burgess’s comic series about Francis Xavier Enderby, the now aging poet has been hired to write the libretto for a musical about Shakespeare and relocates to the fictional Indiana town of Terrebasse. 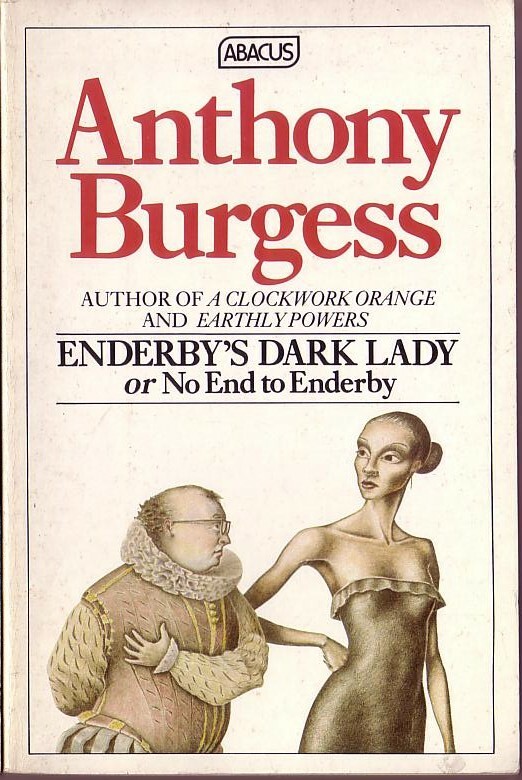 We follow Enderby through his attempts to write and stage the musical – which is substantially the same as “The Bawdy Bard” – and his infatuation with the actress playing the role of the Dark Lady. 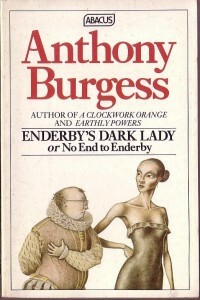 Enderby’s Dark Lady suggests identifications not just between Burgess and Enderby as authors of the same Shakespearean musical, but also between Burgess, Enderby and Shakespeare. In the novel, the actor who is supposed to be playing the part of Shakespeare is taken ill, and Enderby is persuaded to take over the actor’s role. Wearing full Elizabethan costume, Enderby pauses to admire his reflection: “Shakespeare looked at Enderby from the mirror and coldly nodded”. 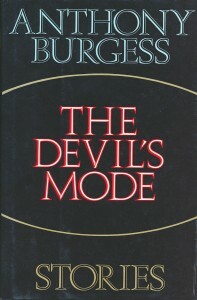 Although there were to be no more large-scale Shakespeare projects in Burgess’s later years, Shakespeare was still to appear as a minor player in several of Burgess’s works. Two Shakespearean short stories are included in The Devil’s Mode: “A Meeting in Valladolid”, which dramatises an imaginary debate between Shakespeare and Cervantes in which they fall out over who was the first to create the Don Quixote/Hamlet and Sancho Panza/Falstaff universal archetypes, and “The Most Beautiful”, in which Prince Hamlet attends a lecture on aesthetics delivered by Marlowe’s Doctor Faustus at Wittenberg. Shakespeare also appears in Burgess’s 1993 novel about Christopher Marlowe, A Dead Man in Deptford, as Marlowe had in Nothing Like the Sun and “The Bawdy Bard”. Burgess’s Shakespeare was, by his own admission, a reconstructed semi-fictional Shakespeare, taken from a variety of sources, including his own imagination. He made no apology for this and claimed the “right of every Shakespeare-lover who has ever lived to paint his own portrait of the man”. In the absence of firm historical fact, each age, “perhaps each decade”, could discover a new aspect of Shakespeare “and every new aspect of Shakespeare will be as true as any other”.